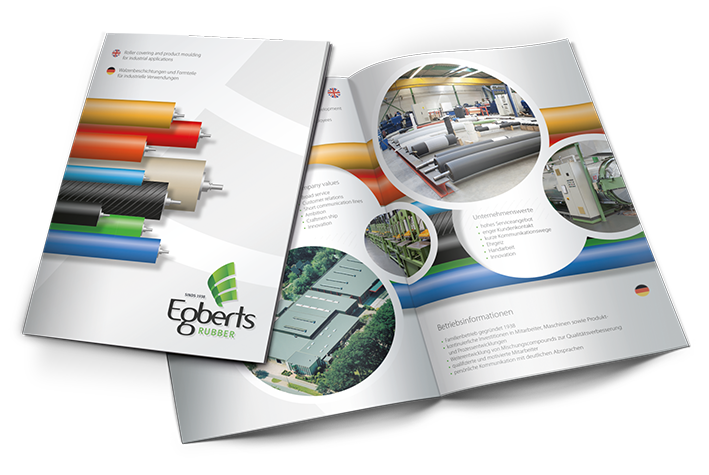 Thanks to our many years of experience, Egberts Rubber has extensive know-how in the field of silicone roller coverings and coatings. Continuous developments and research lead to new silicone compounds / silicone rubber compounds with specific properties and applications. An example of this is our Speedycon silicone rubber. 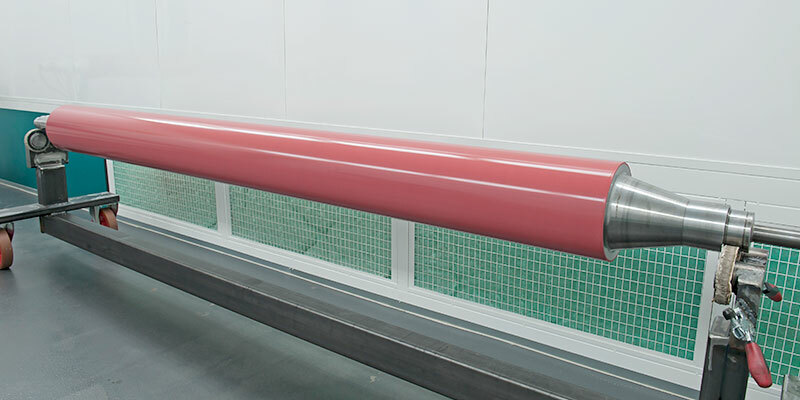 This Speedycon roller coating combines the advantages of a silicone roller, such as non-stick and temperature resistance (200 °C) with very good mechanical properties, such as tear resistance and abrasion resistance. As a result, such a Speedycon roller is many times longer than the currently used silicone rollers. The Speedycon roller coating is successfully used worldwide in various applications. Examples are the hotmelt transfer rollers for gluing machines. A standard hardness for this roller type is approx. 70° to 80° Shore A. Speedycon roller and roller coatings can be supplied from a hardness of 15° Shore A. Our standard silicone rollers are available with a hardness of 13° Shore A. These rollers are used, for example, for special pressure rollers which require a combination of high temperature resistance and anti-stick properties. 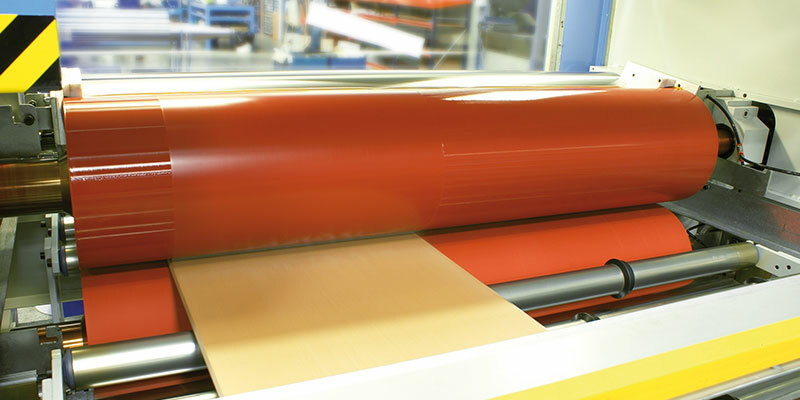 Egberts Rubber can coat its rolls in several layers with different hardness. A soft base and harder top layer (s) are among our options. This applies to both our Silicon / Speedycon coatings and all our other rubber grades. This allows us to deliver custom products with specific features that you, as a customer, want. Inform about the possibilities, delivery times and prices! Do you want more information about the many possibilities, short delivery times and very competitive prices! Call +31 546 86 11 82 or email us: info@egberts-rubber.nl.